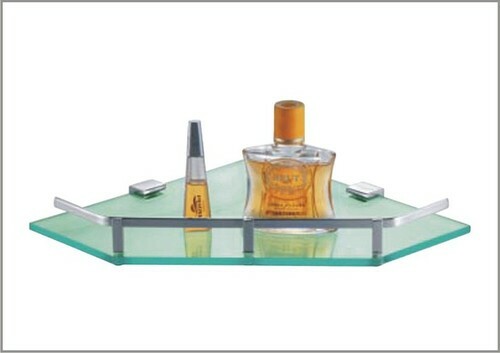 Avi Metal Goods Pvt Ltd.
Avail from us an extensive range of Glass Shelf that is strong enough to hold various accessories required in the bathroom. Fabricated with premium quality stainless steel and toughened glass, these are appreciated for smooth edges, surface finish, dimensional accuracy, corrosion resistance and durability. Crafted with perfection, our range can be available in different lengths and widths. Designed to go hand-in hand with your stylish mirrors or wash counters the accessories offer supreme functionality. Get to know the accessory range that is in vogue. And give your personal space the much-awaited makeover. We are one of the foremost manufacturers and suppliers of high quality assortment of Bathroom Fitting & Accessories. Our product range comprises of Towel Racks, Soap Dish, Towel Rings, Rob Hook etc. These products are manufactured using excellent quality raw material that is procured from reliable and reputed vendors based across the country. The quality of these products is unparalleled and our quality controllers inspect these products on several stringent quality measures. Our product range includes Towel Rod, Soap Dish, Tumbler/ Brush Holder, Robe Hook, Bathroom Paper Holder, Towel Rack, Glass Shelves and Towel Ring etc. We have garnered huge client base across the nation due to the high quality standards of our products. Our well-established infrastructure is incorporated with state-of-the-art technologies, advance techniques and skilled professionals that enable us to enhance our production rate and cater wide range of clients at the same time. Our entire product range is fabricated in compliance with international quality standards.